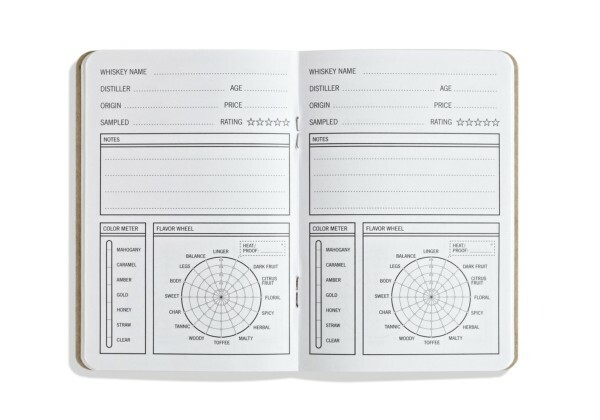 33 Whiskeys is a whiskey journal that provides an easy way to quickly record whiskey tasting notes in a small, convenient notebook format. 33 Whiskeys is perfect for whiskey aficionados, geeks, nerds and other fans of the distiller’s art. The flavor wheel in 33 Whiskeys can be used to quickly recall a whiskey’s unique flavor long after consumption. For low values of the flavor, fill in dots near the wheel’s center. A Scotch whiskey from the Isle of Skye is used in the example shown. This whiskey journal is designed for ease of use. It’s tough to hold a notepad in one hand, a pencil in the other, and have another hand left for your glass. Taking notes with 33 Whiskeys is as simple as checking a few boxes and entering a few basic facts. 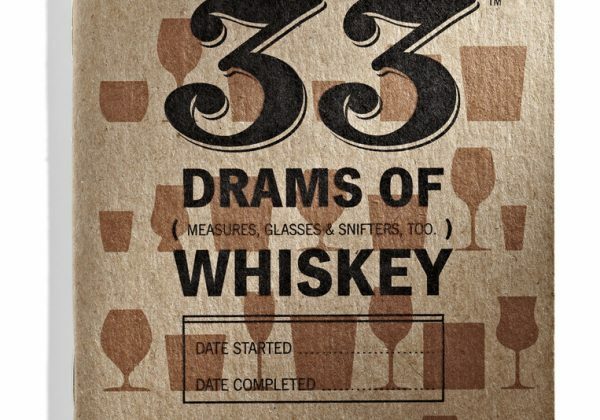 33 Whiskeys is made with 100% recycled papers sourced in the Pacific Northwest. Interior pages are 100% post-consumer recycled content and covers are 85% post-consumer recycled content and 15% recycled content. The booklets are printed using US-grown soy-based inks in sunny Portland, Oregon.